Marietta First Church of the Nazarene’s Third Annual Craft Show will be from 9 a.m. to 3 p.m. Saturday, Oct. 13, at the church, located at 100 Mill Creek Road, Marietta. Crafters with handmade items are being sought. The cost for a 10′ by 10′ booth is $25. There will be a concession stand and bake sale. All attendees receive a ticket for door prizes. There will be free admission. All proceeds go to the church’s children’s department to help children with special needs. St. Luke’s Lutheran Church’s 17th Annual Community Give-Away Day will be from 9 a.m. to 1 p.m. Friday, Sept. 28, at the church, located at 401 Scammel St., Marietta. The congregation will be donating slightly used items to be given away for free to those in the community in need. Items include toys, household goods, clothes, books, shoes, etc. Everyone is welcome. Anyone with questions should call 740-350-8984. 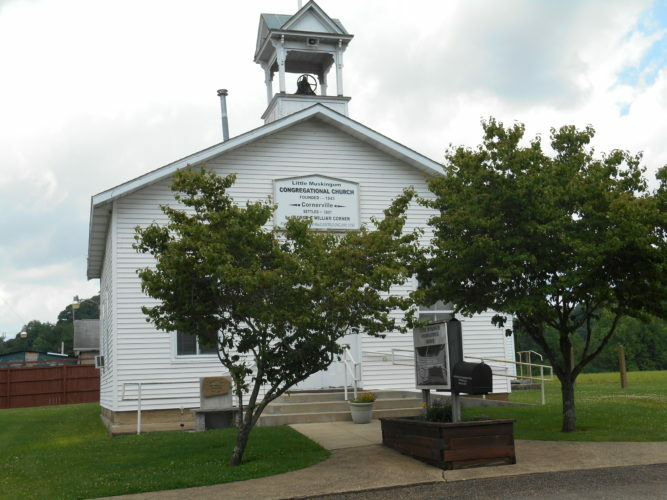 The 6th Annual Gathering sponsored by Belpre Area Churches will be held from 11 a.m. to 3 p.m. Saturday, Sept. 8, at Belpre Civitan Park. The event is free. There will be food, music, games, and more. An Autumn Leaves Bazaar will be from 9 a.m. to 4 p.m. Oct. 5 at Faith United Methodist Church, 503 Seventh St., Marietta. There will be homemade vegetable soup, bean soup and chili sold by the quart and pint, baked goods, crafts, country store. Lunch will be served. Christ Memorial Episcopal Church in Williamstown will be having a community picnic and worship service at 11 a.m. Sunday, Sept. 30, at the Williamstown Women’s Club, located at 112 West 7th St. in Williamstown. The Rev. Art Bennett will be holding Holy Eucharist. Special fifth Sunday guests will be Grace, Saint Paul’s and Saint Ann’s Episcopal churches. All are welcome, and all who go should bring a covered dish dinner. A free community meal (chicken leg/thigh quarters) will be from 5 to 6 p.m. Thursday, Sept. 13, at Tunnel United Methodist Church, located at Ohio 550 and Coffman Road. The public is invited. Handicapped parking is available in the upper parking lot by the church entrance. To request to have a meal delivered within a five-mile radius, leave a message at 740-374-5634.